After our sit down with the Port Authority back in October 2013, PGHretail began investigating water taxi’s more heavily. We made a call in to Wandella Boats, Chicago’s premier commuter water taxi service. The Director of Operations was very excited to talk to us and share information about the water taxi business. Their business has been picking up to expand their boat fleet. Largest users were suburban residents coming to downtown through park-n-rides. They run their commuter business from March until November with competitive rates against bus fares. Just by glancing at our river system, it was expressed that Pittsburgh has the ability to be successful in the water taxi business with optimal travel time to destinations within the three rivers. We found that despite the lack of success then, Federal Funding had been given yet again to the Port of Pittsburgh in 2011 to develop a water taxi dock system and earmarked funding for commuter taxi boats. Read more in the Post Gazette article from August 2011 and Trib-Live article from October 2012. 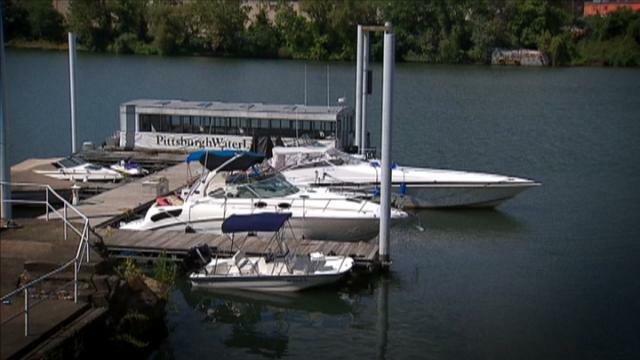 PGHretail contacted Mark Schiller, owner of Pittsburgh Water Limo, who is the only ferry boat company who has publicly announced interest in pursuing the water taxi service. He was adamant that water taxi service would thrive in Pittsburgh under a free-enterprise business. Ongoing discussions with the Port of Pittsburgh, URA, and other key players have been going on over the past three years. Mr. Schiller directed PGHretail to contact another interested individual to partner in the investigation and lobbying of the water taxi project to the Allegheny County and City of Pittsburgh. This highly active and insightful guy is Dave Mansueto. We can’t even begin to tell you all the awesome start-up projects Mr. Mansueto is in. His current project is a mobile Podcast app called bossjockstudio.com/. You can follow him on Twitter @tacomancini. This entry was posted in Featured, News, Projects and tagged allegheny, alternative transportation, city of pittsburgh, dave mansueto, mark schiller, mayor peduto, news archives, pgh, pghretail, pittsburgh, pittsburgh business times, pittsburgh post gazette, pittsburgh tribune review, pittsburgh voyager, pittsburgh water limo, port of pittsburgh commission, public transportation, trib-live, ura, water taxi. Bookmark the permalink.